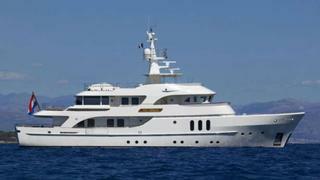 News in overnight from Moran Yacht & Ship of a €1.1 million price cut on the 34.7m explorer yacht Beluga. Built by Moonen in 2006, Beluga boasts an extensive range of recent refits. Accommodation is for 10 guests in five staterooms and twin MTU diesel engines give her a range of 4,500 nautical miles.